NOT that it’s going anywhere any time soon, but i feel like Billy’s beard should be commemorated somehow. this might be a good way! 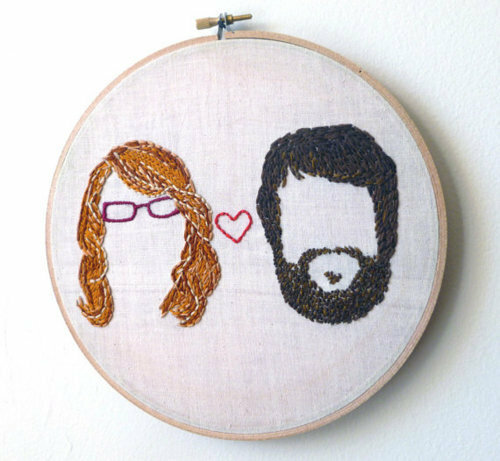 these custom Boy Meets Girl embroidered portraits are amazingly adorable! Penelope from Etsy shop Il Gato Selvattico creates personalized embroidery portraits from your photo. very cute!